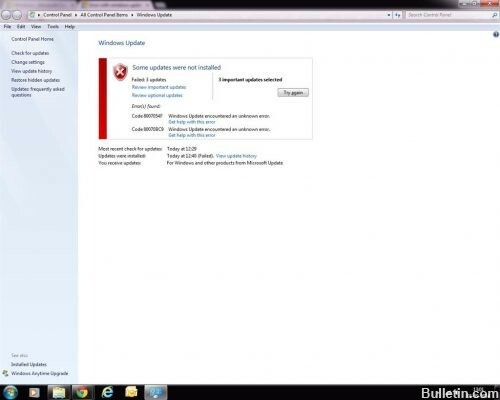 If you try to install Windows updates, your computer may display the Windows Update 80070bc9 error. The above error is often caused by a corrupted Microsoft.net framework. To solve this Windows update issue, follow the steps below. You can disable any security software and firewall, then try manually installing the security update from the Microsoft Download Center, then click Ignore when the error message is displayed. Download and install the standalone packages for these updates. Press and hold Windows + R. The “Run” dialog opens. Enter Firewall.cpl and press OK.
Click “Enable or disable Windows firewall”. Under Private Network Settings, select “Disable Windows Firewall (not recommended)”. The same applies to the termination of the public network. Be sure to enable Firewall, Antivirus once the update is installed. I also recommend that you reset the Windows update components. 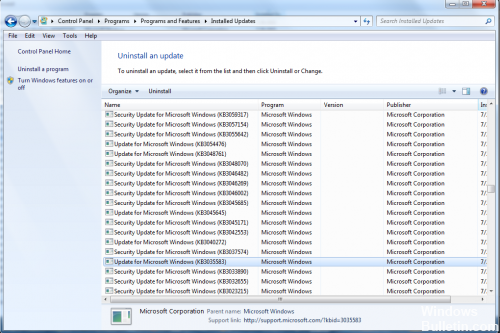 To automatically reset Windows Update components, click the Fix button or the link. In the File Download dialog box, click Run and follow the steps in the Repair Wizard. 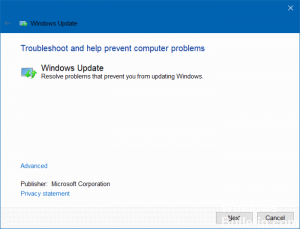 If your computer has problems detecting and installing operating system updates, use Windows Update Troubleshooter to resolve the problem. It ensures that your computer is connected to the Internet and checks that your network adapter and Windows Update services are working properly. Make sure your device is connected to the Internet. Downloading updates requires an Internet connection. If you are connected to the Internet and the updates are not installed automatically, wait a few minutes, then try installing the updates manually. Select the Start button, then Settings > Update & Security > Update Windows, then Check for Updates. Launch Windows Update Troubleshooting. Select the Start button, then Settings > Update & Security > Troubleshooting . Under Get up and running, select Windows Update. Remember to reactivate the firewall and antivirus software once the update is installed.